There are three main varieties of termites: subterranean, drywood, and formosan. Subterranean termites live in the soil and are willing to tunnel dozens of meters just to find wood to feed on. Drywood termites are more commonly found in the southern United States and, like their namesake, prefer dry wood (unlike most of their kin). Finally, formosan termites are a more aggressive version of the previously mentioned subterranean termite and, unlike their more underground compatriots, are capable of establishing secondary nests above ground. Physically, these three varieties of termite look fairly similar. They have thick waists, straight antennae, and short legs. Their size is between 1/4 of an inch to about 3/8 of an inch, and their coloring varies in shade from light cream to darker black-brown depending on their role in the colony they live in. Termites can be dangerous, yes. They will bite and sting but unlike many other pests, they are not toxic. They’re also not known to carry diseases that can cause damage to humans. The biggest danger they present, however, is the damage they can cause to home furnishings and infrastructure. An especially difficult termite infestation can gut an entire home before the homeowners are even aware, which is not only incredibly costly but dangerous as well. Termites are drawn in by the same things that draw other wood boring insects: access to wood, especially kinds that are moist and unfinished or untreated. Leaky pipes, lack of drainage, and other moisture inducing situations attract termites. They also love wood that’s in contact with the foundations of your home or business so they can travel from underground burrows up and into the wood without as much difficulty. Sealing any foundational cracks or fissures can go a long way toward preventing their entrance into your home or business. Termite infestations are something that needs to be taken especially seriously because they cause damage totalling upwards of $5 billion per year, and most insurance plans don’t cover treatment or repairs due to termites. 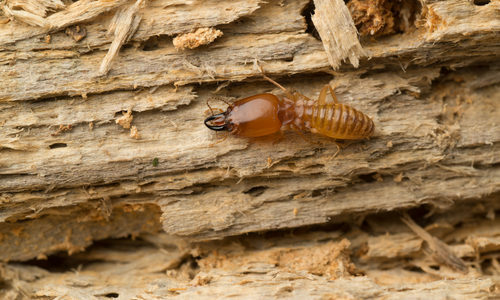 Termites are an especially tricky pest to prevent, but don’t worry – there are steps you can take to keep them away from and out of your home or business. The first thing you need to do to prevent termites is become aware of the places they are most likely to use to get inside your home or business. Places such as broken roof tiles and air conditioning units. After you’re sure you have closed off any potential entry points, you need to look indoors for potential food sources of termites. They are fond of wooden beams, cardboard boxes, wooden flooring, skirting boards, wooden furniture, and laundry piles. When able, use metal furniture and storage units instead of wood. When doing laundry, don’t pile it on the ground or near walls and stay on top of keeping it organized. You can apply treatment sprays onto beams and, if you fear a potential inspection, use your thumb to press on parts of wooden structures to feel for the telltale softness and pliability that they leave behind. How can Gregory Pest remove termites from my home or business? Gregory Pest offers a few specific eco-friendly and expertly delivered ways to keep termites out of your home. For the ultimate in eco-friendly termite treatment, choose Sentricon®. This system uses a protective barrier of bait stations around your home or business. With our ongoing professional monitoring, you can have year-round guaranteed protection. Sentricon is available only through qualified Certified Sentricon Specialists™, which in turn means guaranteed expertise and quality assurance. 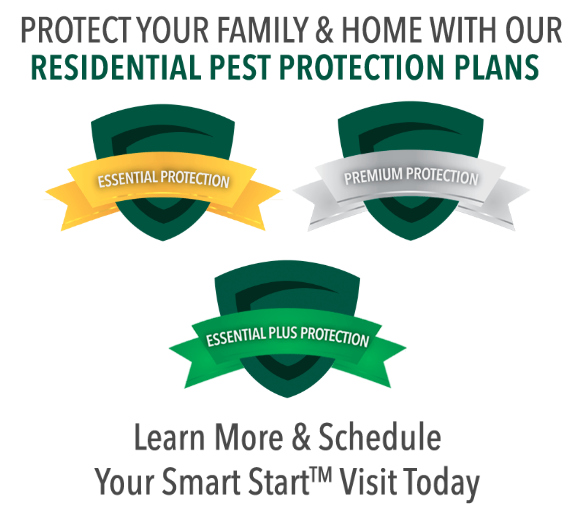 Here at Gregory Pest, we have Certified Sentricon Specialists that receive ongoing training, education, and support from Sentricon to keep us as leaders in termite protection. For superior performance in liquid termite extermination, look no further than Termidor®. Our custom chemical formula comes with a long term warranty and delivers results every time, allowing you to get back to life without termites. You can speak to one of our termite exterminators in South Carolina, North Carolina, Virginia, Georgia, Florida, Tennessee, Alabama, Mississippi, and Louisiana about complete pest extermination and treatment – and which removal option is best for your home or business.